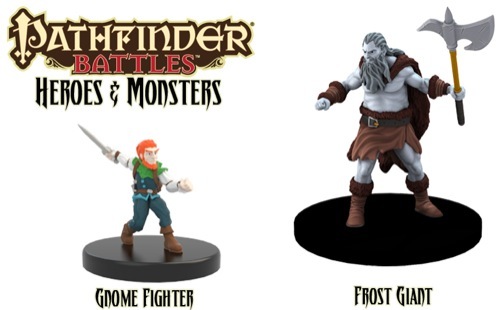 Pathfinder RPG combat comes to life on your tabletop with Heroes & Monsters, the debut release in the new Pathfinder Battles prepainted miniatures line! 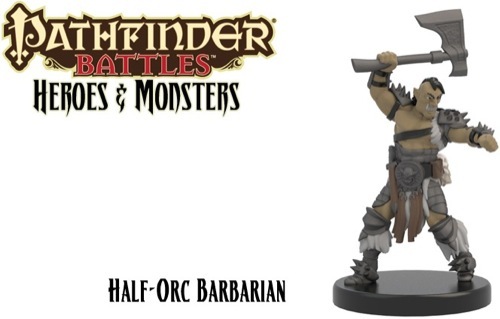 Produced in cooperation with Paizo Publishing, Heroes & Monsters presents a fascinating array of 40 beautifully painted miniatures perfect for use with the Pathfinder RPG or any fantasy miniatures game! 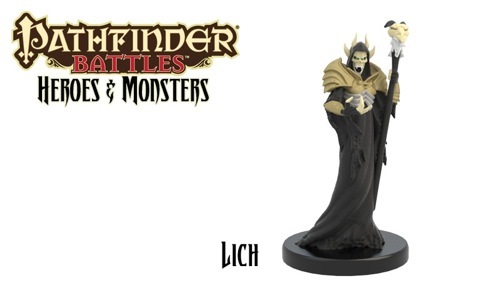 From the brave Gnome Fighter to the mighty evil lich, Heroes & Monsters offers a wide range of player characters and dungeon denizens that make a perfect start to your Pathfinder Battles collection! Heroes & Monsters Standard Boosters contain 1 Medium or 2 Small miniatures. Heroes & Monsters Large Boosters contain 1 Large miniature. Heroes & Monsters Bricks contain 16 Standard Boosters and 3 Large Boosters. Heroes & Monsters Cases contain 4 Bricks (64 Standard Boosters and 12 Large Boosters). 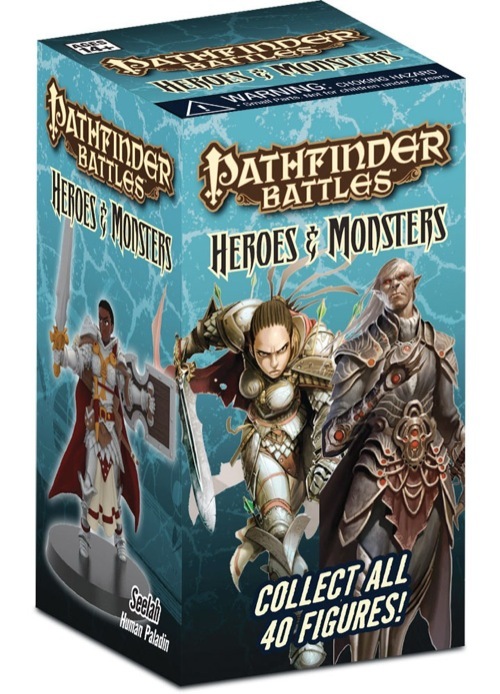 Begin your Pathfinder Battles collection today! The Heroes & Monsters of the Pathfinder world await! See the press release for questions and answers about this exciting new product line. 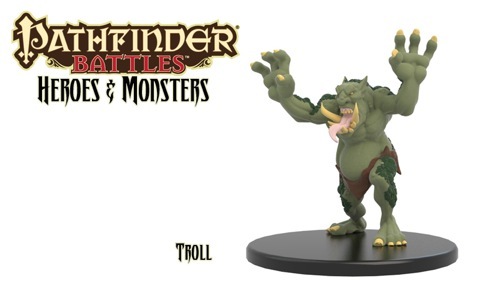 Note: This product is part of the Pathfinder Battles Case Subscription. I hate to be a bad mouth, and I am honestly not motivated here by vehemence. This figs just cost way too much for what you get ESPECIALLY because they are random and plastic. I am not saying there is anything better out there - as far as I can tell there isn't. My local store is 1 of 2 significant stores, in a metro area of around half a million folks. The store I frequent has yet to sell out of the ORIGINAL , the 2nd line has barely sold at all, and he has refused to order anything else. It just doesn't sell. And its not placement - they are quite actually the first and last thing you see when you enter his store. When I bought DND mini's the price for randoms eventually became to high for me and I was able to still get the minis I wanted by buying singles. So far, everything I have seen indicates the singles market is incredibly over-inflated. So, quality wise they are top notch. The paint jobs and sculpts are in every way superior to what I have seen anywhere else here in America. There are foreign companies doing comparable work in similar markets, but that is irrelevant to this review. For me though, the final thing comes down to money. They are too expensive. I would be more willing to buy these if one could select individual figures desiered rather than getting a "Grab Bag (box)" of unknowns. I didn't even want to buy any originally because of the price, but I decided to grab 3 small (1 medium or 2 small figures each) and 1 large (1 large figure) boxes. This cost me $19 before taxes and I ended up with 1 large and 3 medium figures. When D&D Miniatures was producing boosters I would pay $15 or $16 before taxes to get 8 figures and I'm pretty sure there was 1 large per booster. I then placed them side by side with the D&D Miniatures I have and I would say the quality is about the same, but the Pathfinder minis are more vibrant. The D&D minis though each came with a stat card and could be used to play a separate minis tactical game. 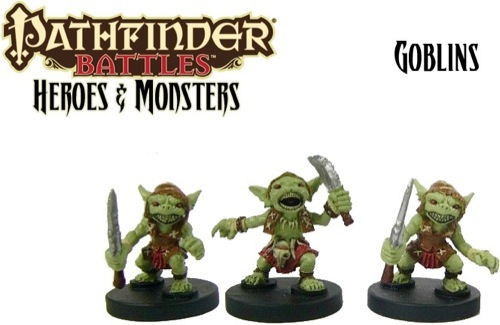 Even if I were to get 2 small figures in each of the small boxes of Pathfinder minis I purchased I'd have 7 figures. For $3 or $4 less I would have 1-4 more figures and I never remember seeing a full booster of D&D minis as small figures, maybe half at most. 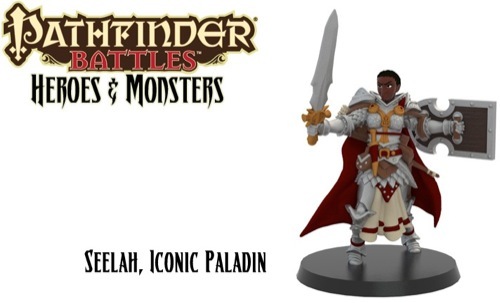 I really like the Pathfinder RPG books, but I'm sorry, I won't be buying any more minis because I think they're overpriced. Maybe I'm just behind times though because I know the D&D minis are not being produced any more, but I can still buy singles for $1 each for commons and uncommons. 1-2 random for HOW MUCH! For random minis, the pricing is obscene. Tack on a buck and let me know what I am Getting. The local store has yet to sell out of the Original Brick. And from what I have seen, the sculpts and painting is so sub-par. As much as I hate the Paper Minis, I will take those over these in a heartbeat. I have just gotten into my box set that I recieved (in no specific order). Individual Review will be added later. 84 Minis, out a minimum 76, and was able to get the full collection. I can safely say that I am over all pleased, though I was hoping for more humanoid opponents, but can't be to grumpy since I did get a full collection, with a few doubles of key members. Add to this the ones Irecieved from random Store Boughts as well as a minion order from this site and the six-man Evil Booster and you have a good assortment of minis to choose from. We will be making the black dragon case premium available to those who order cases from paizo.com, and in other ways as well. Details on that will be announced later. Just announced! See the Press Release here! Holy frak... there goes my wallet. Edit: Vic the link currently only points to the original iconics set. 4~6 dollars on a single plastic mini? Pass. Oh yeah. And now the transition is complete. My wife is gonna keeeell me. Is there any Pathfinder Battles game in the works? Soooo awesome. I've been looking for a way to find these as of late. Thank you, Paizo and WizKids! Yes! It's called the Pathfinder Roleplaying Game! We do not currently have any concrete plans regarding a separate miniatures game. Is that something you'd like to see? I'm very pleased with this. Fantastic news. When I first read this I thought maybe it was a bit harsh. Then I learned about the random thing, and now I actually agree. $1 isn't too much to use while gambling. $4 is too much. Maybe for $1, but not for $4. Or to take one more crack at it, I look to my son's Pokemon cards. Those boosters are also $4. But they have more than just one card in them. Sometimes they're all junk, but there's a lot of variety in there, too. My wallet hates you!!!! When will we get a full list of minis? I'm with Abraham on this one. $4 for a single random mini is a pass in my book. Agreed. Random = bad. Color me unimpressed. When you can make the Orcish horde mini box set or similar, I may stop being disappointed with the market. Honestly it's cheaper to buy Warhammer 40k minis -- and yes that is an insult. I pre-ordered 2 of the iconics sets, as I know what I'm getting. $4 for something? No thanks. I like that they are making more minis I was excited. Then I read that it will be $4 for a random mini (or 2 small ones) and that does not interest me in any way. As a RPG supplement I like to know what I am buying before I buy it. I don't buy Pathfinder books randomly, I buy the ones I need. The minis should be the same way. Honestly, just let me pay you $4 per model up front please. $160 right now. The random booster model is crap. This isn't Mage Knight -- they don't stand alone as a game with rareness meaning anything. 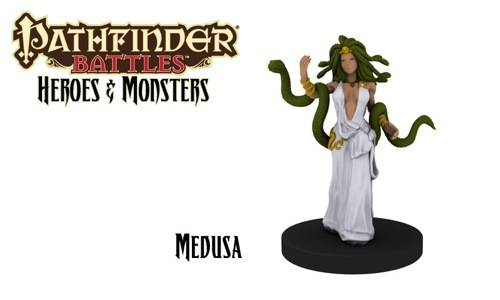 Additionally, WizKids plans to release additional Pathfinder Battles Encounter Packs, which will feature visible non-random assortments of selected repainted or resculpted figures from the full sets. Product details for these later sets will be released shortly. And now my addiction is complete. I imagine there will rapidly be an Ebay trade for those who want to buy specific singles, and probably for the same price or less than new randoms. That said, this isn't a product that interests me - I'll stick with Reaper's stuff. 10 people marked this as a favorite. For those of you who are disappointed in the random aspect of the miniatures, please read the following taken from the FAQ attached to the press release. You still may not agree, but at least you will understand why we are doing what we are doing. Q: Why prepainted plastic miniatures in randomized packs? A: Prepainted plastic miniatures are expensive to make. Sculpting and painting are costly, and making molds for plastic figures is costlier still. To make all these costs work, you need to spread them out over a large number of miniatures. If these figures were released individually, some would sell better than others, and some--or even many--of them would lose money. Randomizing the miniatures ensures that you sell predictable quantities of each figure, and it also allows you to price them reasonably without losing your shirt. Another benefit of averaging out costs over a large number of figures is that it allows you to spend more money on some miniatures--you can make them larger or more detailed, or add more complicated (and thus more expensive) paint operations than you could otherwise justify. In short, selling more of the common minis allows you to spend more money on the rarer figures. Randomized miniatures also allow you to provide more variety. Not only can you introduce more figures at once, but the fact that you make make some of them rarer than others means you can produce plenty of the figures that everyone needs, like goblins or skeletons, and fewer of the figures that have narrower appeal, like strange monsters or iconic figures. Another factor to think about is the brick-and-mortar retailer. It's much easier for a retailer to stock single booster packs than individual packaged minis. 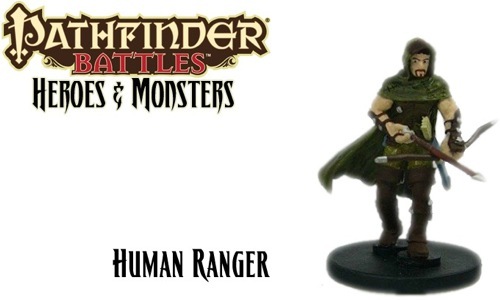 Our first set, Heroes & Monsters, contains 40 miniatures. Selling them individually would require a lot of retailer effort to keep them all in stock--and it would also require a lot of space to display those miniatures. And if next year's 60-figure Rise of the Runelords set were released as individual minis, the retailer would then have to track and display 100 individual items. As the line continued, individual minis would soon become impossible for most retailers to keep up with. Because randomized miniatures are distributed to retailers by the case, there's usually only one item for them to order for each set, so it's easy to maintain stock. And since it doesn't take much space to display a handful of booster packs, retailers can easily continue to stock and display the entire line of miniatures as long as they're available. Retailers who have a greater inclination toward managing more complicated inventories, or who have more space to display miniatures, will almost certainly break open random boxes to sell singles, groups of individual figures they can tailor to their customers' needs, and even complete sets. A lot of thought has been done on the topic of the best way to produce prepainted plastic miniatures, and the random packaging method, supplemented with the occasional small boxed set of non-random figures, has proven to be the most successful. Paizo is committed to working with WizKids to ensure that customers will be able to purchase the miniatures they want at a fair price. Man, these look fantastic. But the price... my wallet / wife / kids whom I will no longer be able to feed are gonna hate me. But I shall imagine how their little faces will brighten up as I smash their characters to pulp with a large blue frost giant. PS - And a 'Rise of the Runelords' set? With most of the hard copies of the AP sold out? To me that's as big an indication as anything of an imminent hardbound rerelease. Yes, I would love to see a miniature game to go with it. This represents all that is wrong with the whole random business model. Falsely created 'collector' rarity does not encourge me to spend money on them. Inflated Ebay prices, sends me further away. Vic, I understand why you have to do them randomly, but as long as they continue to be random, there are those of us who just won't buy. I wish Paizo luck as I do with all their ventures, I'm just disappointed. Having bought single plastic minis for years from ebay, the pricing seems fair. I could care less about them being random, because I know the alternative means that the dragon minis sell out overnight while the halfling minis sit on the shelf; that's not good anyone trying to sell them. I'm excited about these, and I can't wait to get my case. I do hope we're only looking at 1-2 sets a year, though. Gets expensive to keep up! Oh no -- it's not the randomness that does it in for me -- it's the 4~6 dollars for a single mini that does it for me. First off it's a waste of packaging, and resources. Bulk is king for a reason and it's not because its more expensive and wastes more paper, shipping weight, and costs more per unit -- which is to say its the exact opposite of selling the product individually. Then there's the fact that I honestly don't need that many unique minis -- what I need is 10 goblins, 10 skeletons, 10 minotaurs, 10 kobolds... you know generics. And for generic monsters I don't want to pay an arm and a leg for each of them, their role in my game is going to be to get horribly killed. IF I want a specific mini for a specific character then I don't want to be buying a product made from cheap plastic generically painted as quickly as possible to make a profit -- I want a unique mini for that character. Which means I need to realize I'm going to pay more for quality -- but that's okay since I plan on using that specific mini much more and more personally too. All in all this new product just showcases everything that is wrong in the current mini's market to me. I'm honestly wondering how it can possibly be a long term smart investment for anyone (including the companies selling it). If it's honestly a matter of 'less demanded ones won't sell and people will be stuck with them' might I suggest not making as many of the less demanded minis and making more of the minis everyone is wanting to buy? It's not like you lose the molds after using them. 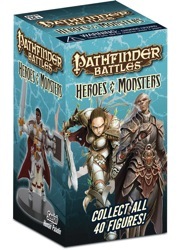 Will the Pathfinder Advantage discount apply to minis ? Will this be available as a subscription? 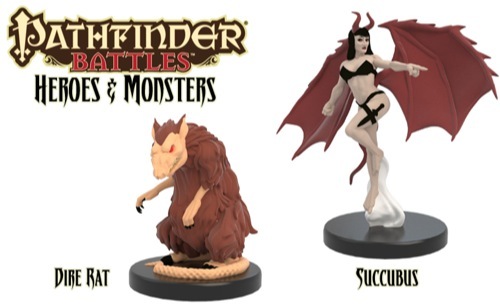 I am thinking that those will be included in the "Additionally, WizKids plans to release additional Pathfinder Battles Encounter Packs, which will feature visible non-random assortments of selected repainted or resculpted figures from the full sets. Product details for these later sets will be released shortly." 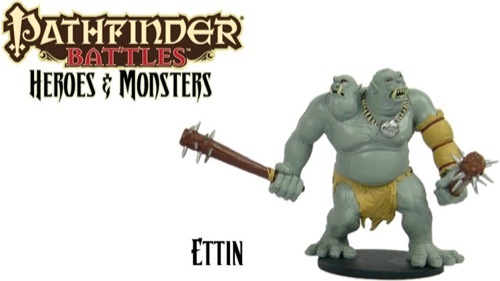 Are these minis going to be to scale with 25-28mm other minis? Somebody mentioned that the biggest GenCon announcement would likely show up just before con. It is safe to say this was it. My inner Pathfinder completist says "buy them", but I dislike prepaints. I don't mind the randomness, for the reason that Lisa mentions. Maybe I'll treat myself to them. Maybe. Which is of course a completely different product -- which is nice and all -- but why not start there? All in all it's simply too much cost for too little product -- even if I knew what single mini I would be getting at 4~6 dollars a pop they are much too expensive for my tastes. I can get pewter for cheaper. These things look beautiful. BEAUTIFUL. I want your day job. Or whatever it is that allows you to have that level of expendable income. Personally, I'll just start saving money and see what happens. Just so I don't feel quite so insane for contemplating it. If a case is pre ordered that charge dosen't hit until the Item ships right? Please to be linking to large sized pewter monsters for $6. It is true that reaper's medium sized unpainted minis are only $5-6, so the regular sized models aren't much cheaper. Unless you are too lazy to paint, as many are. Anyone who is claiming GW has cheaper minis hasn't seen the latest GW price sheets. Also, isn't GW moving much of their production to resin? It doesn't, but it will likely run an authorization which may freeze the funds in your account for 3-5 days, depending on how your credit card/bank processes it. 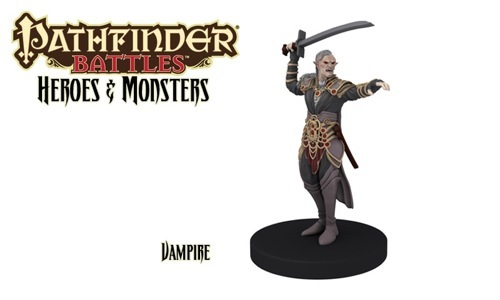 Well it is quite pricey but frankly I think pre-painted plastic minis for a tabletop RPG are a vanity purchase anyway. They are for high-end consumers where pricing is a secondary concern. All in all they look like fun for those that are interested. I'm glad Paizo is doing it. Maybe I'll even pick up a few "bricks" or whatever groups of them are called. 1. No interest in a mini-game. 2. As some in this thread have mentioned having groups of known generic monsters would be useful for everyday type encounters. 3. If you are going to do themed sets for APs (like you mention with Rise) concentrate on newer APs since most people have likely already run the older APs (like my group) and have no use for the specific minis any longer. Finally a question I have always had about RPG minis in general: Why are they made with round bases when they are meant to be used on a square grid? Why not make them with a square base? While we don't charge until it ships, there may be an authorization placed on your card which many banks show as "pending" and then hold the funds until the authorization expires (usually 3-5 business days). The early Star Wars miniatures sets had square bases and, to me, they just feel bulkier. I'd rather have round bases. Round works easily for both square grids and hexes, so those of us who like hexes can get more use out of them. My guess is that rounds are just a hair cheaper though. As a Christmas gift to my players, I have ordered a case.